The paid sick leave revolution is upon us! From 2014 to 2015, the number of paid sick leave laws in the US more than doubled. As of today, four states and more than 20 municipalities have created their own paid sick leave laws, and there are already six new laws on the books for 2016 (with Pittsburgh being the latest). Despite that momentum, more than 43 million people in the US do not have the option to earn paid sick leave, according to new data from the Bureau of Labor Statistics (BLS). That means more than one-third of US employees face a choice between going to work sick, losing pay or losing their jobs. Paid sick leave laws vary on employer coverage. Such variations run the gamut from how many employees the employer needs to have, to who is considered an employee, to even the type of industry the employer needs to be in. For example, employers with just one employee must provide paid sick leave under California law, whereas only employers with 10 or more employees must provide leave in Jersey City, New Jersey. Los Angeles has its own law that applies only to hotel employers, while the law passed in Long Beach, California, applies only to hospitality and transportation industry employers. In some jurisdictions, employers of all sizes are covered, but only “larger” employers must provide paid sick leave while “smaller” employers must provide unpaid sick leave. For example, Massachusetts employers with 11 or more employees must offer paid sick leave, while those with 10 or fewer employees must offer unpaid sick leave. As a result, no Massachusetts employer is fully off the hook from dealing with sick leave. Smaller employers that are not currently covered under a paid sick leave law should keep in mind that hiring new employees may change their legal obligations as well. Most sick leave laws require that employees work a certain number of hours in a year within a specified location, but (of course) the criteria varies by location. For instance, employees must work at least 80 hours in a year in Jersey City, New Jersey in order to qualify for paid sick leave, but employees need to work only 40 hours or more in a year in Philadelphia. Employers may want to keep the eligibility criteria in mind when they hire new employees or make other employment decisions (e.g., allowing an employee to work from home in a location that requires paid sick leave). Generally, employees may take leave for their own or a family member’s injury or illness or for preventative care. In certain jurisdictions, sick leave may be used for a domestic violence, sexual assault or stalking incident and/or during public health emergencies resulting in workplace, school or daycare closure. Who is considered a family member can be quite broad under these laws, going beyond what most employers may consider a “family member. ” For example, Emeryville, California allows employees to take leave for a designated “nonfamily” member. Supervisors, managers and HR representatives should be aware of all of the qualifying reasons for leave so they can properly designate or deny a leave request. Employers should expect some employees to attempt to buck the system. Luckily, some laws have put in place a method to address such employees. For example, some laws allow employers to request medical certification or documentation earlier than otherwise required when they suspect abuse. Being out on sick leave does not automatically shield an employee from termination or other disciplinary action for violations of company policy. Employers should customize a new sick leave policy or existing policy to fit not only the law, but also the employer’s business needs. For example, an employer should determine what “benefit year” to select (e.g., calendar, anniversary, tax or fiscal year), whether leave should be accrued or provided in a lump sum, whether to cap accrual, and whether employees may carry over time. Employers should also review all attendance-related policies to ensure they do not penalize employees for taking leave that is protected by a paid sick leave law or another company policy, such as a PTO policy. 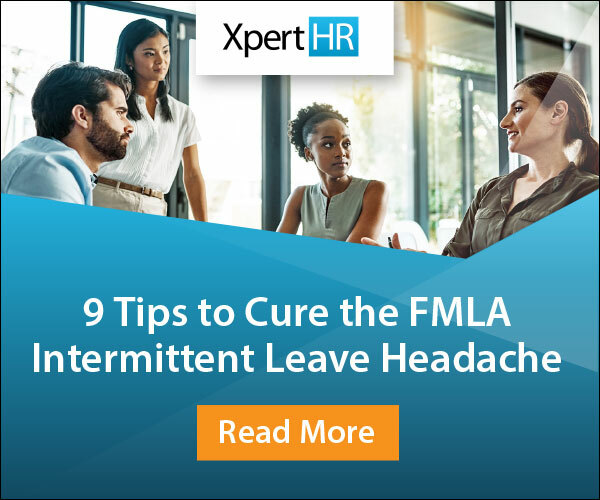 In the event an employer is covered under other leave-related laws, such as the federal Family and Medical Leave Act, the employer should understand whether the different leaves may be used concurrently and whether there are conflicting documentation or notification requirements. Employers with employees in multiple locations (some of whom are entitled to paid sick leave and some of whom are not) should consider offering all employees sick leave, even if unpaid. A proactive policy like this may generate benefits for employers, including increased productivity, morale and retention rates. Alternatively, ignoring employee’s requests for sick leave can lead to costly battles that are easily avoided. Steven Luckner, an employment attorney at Ogletree Deakins, cautions that employers should make sure to check their recordkeeping obligations under the new laws. Luckner has found that employers often look at the new laws and determine that they are in compliance because they already offer as much or more than is required by law. However, they neglect to keep proper track of the sick days as required. This is especially true when employers use a universal PTO system and do not track sick time separately. Luckner advises that managers and HR should work together to track actual sick days for recordkeeping purposes and distinguish between personal days and sick days as best they can. 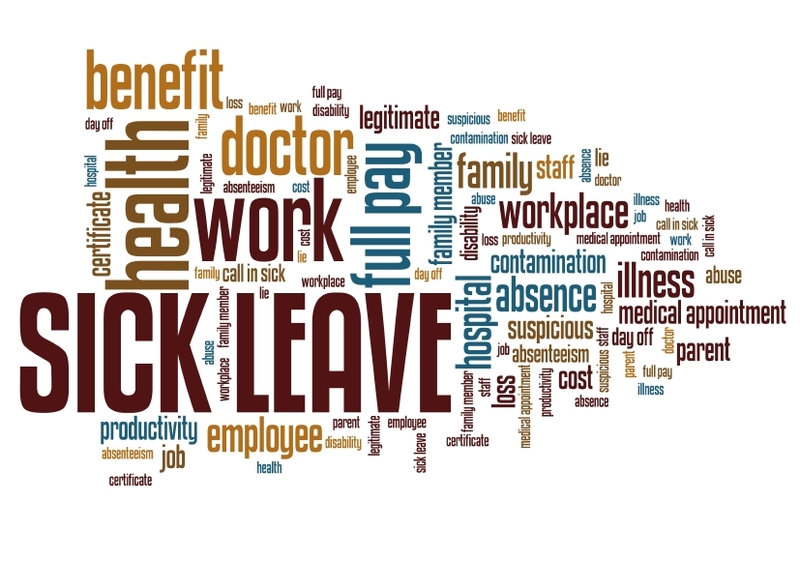 So employers, please let us know, what are you doing to prepare for the paid sick leave trend?